Highland Licensing Board is to hold a six-week public consultation on proposals to restrict numbers of off-licenses. The Scottish government has asked that all local authorities have a policy on the overprovision of alcohol. The Highland consultation asks whether the board should refuse certain applications for new off-sales. It has been suggested this could apply to the whole of the Highlands, or to specific council wards. NHS Highland has recommended that the wards be Caol and Mallaig, Cromarty Firth, Dingwall and Seaforth, Eilean a'Cheo (Skye) and Fort William and Archnamurchan. Also Inverness Central, Inverness Milburn, Inverness Ness-Side, Inverness West, Landward Caithness and Thurso and Wick. NHS Highland has already examined the issue of overprovision. In a report to the licensing board, NHS Highland said 40.5% of the Highland population exceeded weekly and, or, daily drinking limits. Fewer women than men were drinking above recommended levels. 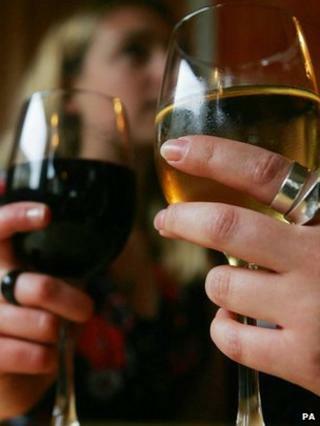 Figures also showed that 11,400 men and 4,640 women in the health board's area were alcohol dependent. And while alcohol-related hospital admissions have fallen, NHS Highland said that the cost of dealing with the harm caused by drink was £85m in 2010-11.